Cascade Regional Blood Services is a nonprofit community resource which has supplied blood to hospitals and clinics in Pierce and South King Counties since 1946. We rely upon volunteer blood donors and financial gifts to help us fulfill our mission. Your gift can help us purchase and maintain our bloodmobile fleet, specialized laboratory equipment and other capital projects. If you would like more information about supporting CRBS with financial gifts, please email our Fund Development department. Cascade Regional Blood Services is designated by the IRS as a non-profit 501(c)3 organization (EIN 91-0657805) and is registered with the Washington Secretary of State under the name: Tacoma Pierce County Blood Bank. Making purchases at Amazon.com and Fred Meyer an easy way to benefit CRBS. Sign up for the Community Rewards program by linking your Fred Meyer Rewards Card to CRBS at www.fredmeyer.com/communityrewards.You can search for us by our name or by our nonprofit number: 87522.Then, every time you shop and use your rewards card, you are helping CRBS earn a donation! You can earn charitable contributions for CRBS from the AmazonSmile Foundation by visiting our AmazonSmile page and making CRBS your charity of choice. 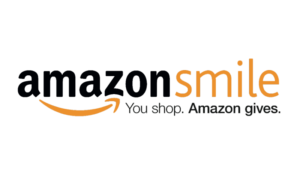 Then, when you shop through smile.amazon.com, you earn a percentage of eligible purchases in cash donation to CRBS! Sign up for the Community Rewards program by linking your Fred Meyer Rewards Card to CRBS at www.fredmeyer.com/communityrewards. You can search for us by our name or by our nonprofit number: 87522.Then, every time you shop and use your rewards card, you are helping CRBS earn a donation! Cascade Regional Blood Services is proud to announce that we have raised enough money from grants and other financial gifts to refurbish and rewrap our entire bloodmobile fleet! Now we need your help to purchase a new bloodmobile. About 60 percent of our local blood supply is donated at mobile blood drives. We need a new bloodmobile to help us continue to make blood donation convenient for our donors. Gifts of any size will help us to purchase a new bloodmobile. For more information please email gifts@crbs.net. If you would like to donate to the bloodmobile fund, you can do so here.